The new highlight for the African travel event calendar, World Travel Market (WTM) Africa will open its doors to all involved in the African travel industry at the inaugural show on 2 and 3 May 2014 at Cape Town’s International Convention Centre and invites travel professionals from across the globe to register for the event. With the UNWTO reporting growth in both inbound and outbound tourism and some African nations expected to grow at an average annual rate of 5.7% - the highest of any world region – WTM Africa, which caters for both inbound and outbound markets, is set to be a vital platform for the African tourism industry. Bringing together worldwide buyers and sellers, all focused on the African tourism market, under one roof, WTM Africa is open to the widest range of travel professionals to register to attend. “The wide range of pan-African and international products and services that will be on display on the show floor, as well as our comprehensive event programme and range of networking events, mean that we can offer a high quality global event that will appeal to the broadest range of inbound, outbound and intra-regional travel professionals from retail leisure travel agents to corporate travel advisors.I would encourage anyone interested in attending WTM Africa to pre-register via wtmafrica.com ahead of the show to avoid the onsite registration fee, ”continues Polly. The inaugural WTM Africa will promote the world to Africa and Africa to the world over the two day event on 2 – 3 May, as part of the South African based Thebe Reed Exhibitions’ Africa Travel Week, at the Cape Town International Convention Centre. Designed to offer something for everyone, the insightful and topical event programme is open to all attending WTM Africa, offering the whole industry the ideal learning and networking platform. Attendees will be able to take advantage of the excellent line-up of sessions which make up the Official Event Programme, featuring key brands such as WTM Vision and the WTM Africa Responsible Tourism Programme as well as senior speakers from well-known organisations including African Business Travel Association (ABTA), Cape Peninsula University of Technology, Digital Tourism Think Tank and Travel Bloggers Unite. 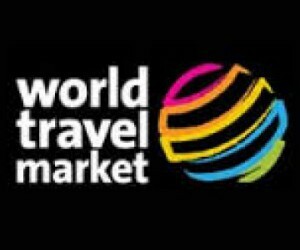 All travel professionals can now register to attend the first ever WTM Africa online at www.wtmafrica.com. By registering ahead of the show visitors can avoid the onsite registration fee.